Established in 1957, WASCO Windows stands for Wisconsin Aluminum Supply Company, and it started by manufacturing aluminum siding and storm windows. The company began producing its own replacement windows in 1986, and in 2005, David Paulus Jr. began modernizing the company to meet current market and customer standards. The company continues to produce high-quality windows in Wisconsin for Wisconsin, and it strives to help consumers have energy-efficient windows for less. In 2008, the company added European tilt and turn windows in its production line. Aside from investing in top-of-the-line machineries, WASCO Windows also values its employees highly, the reason for its receipt of the SHARPS certification for workplace safety from the Occupational Safety and Health Administration. Windows from the WASCO Fensterwerk are three windows in one — the innovative European windows design offers draft-free ventilation in the tilt position, the traditional look and maximum ventilation of an inswing casement in the turn position, and a timeless look and security in the closed position. Tilt & Turn Windows combine unequaled structural performance with the superior air infiltration and thermal performance of a casement window. WASCO’s French windows are a true mullionless French Window, which allows both panes to be opened or a single pane to be tilted. Part of our European line of windows, WASCO’s French windows combine unequaled structural performance with the superior air infiltration and thermal performance of a casement window. 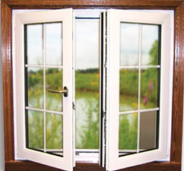 Casement windows are hinged and open and close with a crank, offering 100 percent airflow. WASCO’s are the finest casement windows on the market. WASCO Windows stands behind its products, and because the windows are manufactured in the company’s facility, WASCO owns full responsibility of the quality or failure of its windows. The company creates vinyl replacement windows that are energy efficient, well-crafted, and quality, and every set of windows is dispatched with a team dedicated to complete the work successfully from start to finish. For consumers wanting to spend even less, these windows qualify for a federal 10% tax credit, which can dramatically decrease the total price of the windows up to $200. This company has several advantages compared to other companies when it comes to the specifications of its products. These windows use an improved, Wisconsin-produced cardinal low emissivity 180 glass, which provides double thermal performance than the Low E 179 glass. In homes with windows directly hit by sunlight, this type of glass can block ultraviolet rays and allow only true light to pass through. During winter, heat loss is also minimized, while during summer, the cold temperature is maintained. The use of double-seal SuperSpacer foam spacers also contributes to the good adaptability of the glass in temperature, preventing condensation during cold months and too much heat during warm months. To ensure superb thermal performance, the dual-layer glass of the windows is filled with argon gas in between in order to reduce heat transfer through them. 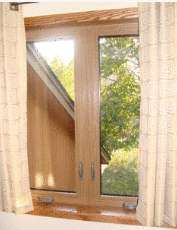 These specially made windows for Wisconsin homes also offer a lot of options for customization. Finishes available for most window styles are white, almond, walnut, medium oak, and natural oak, but tilt and turn and casement windows can be finished with any color. Grid options are colonial, grid-less, prairie, or diamond. Choices of full or half screen are also provided, as well as frosted or clear glass. Apart from these customizations, the company also accepts custom-made windows for do-it-yourselfers. WASCO Windows offers its products with a lifetime warranty, so in case of glass breakage, seal failure, and other issues, the windows will be replaced accordingly for free. Prices of window products at Wasco Windows differ according to type, color, size, and features. Thus, it is necessary to compare prices of various Wasco window types and to put products side by side in order to see the pros and cons. When it comes to warranty, Wasco offers different warranties depending on the model, as most of them give their products a certain length of warranty years based on materials and confidence. Therefore, the price of the end product you will get is dependent on your careful selection and inspection.